Celebrate Unity in Lexington This Weekend! One of the things I love about living in Lexington MA is its deep commitment to the community. The rich history of Lexington which brought its resident together as America was being formed, acts as the foundation for this great community, and is still seen today! One way that Lexington shows this is through an event that will be taking place this Sunday, January 16th! The CommUNITY Committee in Lexington will host the 18th Annual CommUNITY Commemoration honoring Dr. Martin Luther King Jr, which is the event for which this committee was formed. 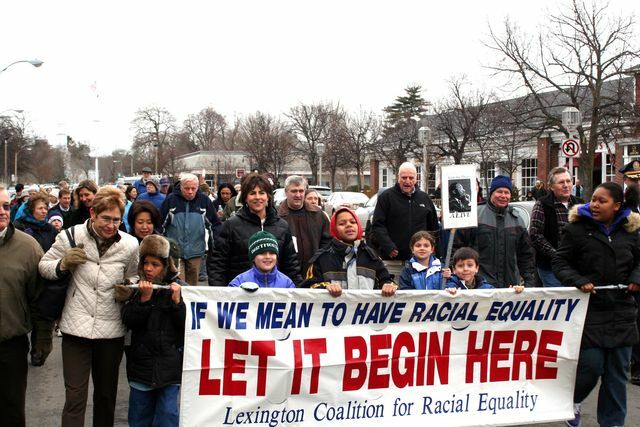 With the goal of offering educational events and engaging in actions that promote the diversity of history and Lexington’s current culture, this group actively pursues equality and a sense of embracing differences. Sunday's event is a great way to learn more about the heartbeat of Lexington and ways to get involved. The CommUNITY Commemoration will begin at 1:30pm with the traditional Unity Walk from the Lexington Battle Green to Cary Hall. At 2pm, the program in Cary Hall will begin which will feature the documentary film, “Traces of the Trade: A Story from the Deep North.” This film shows the journey of Katrina Browne who finds out and comes to terms with the fact that her New England ancestors were the largest slave-trading family in American history. Don’t miss this event that is free and open to everyone! 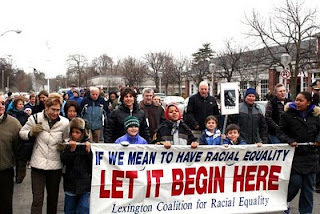 The CommUNITY Committee is dedicated to a diversified lifestyle in Lexington and will be hosting a series of forums and community conversations throughout the next few months that will touch on racial issues and ways for the Lexington community to get involved and continue the education of equality in Lexington. To view more information on the event or learn more about this committee, visit the CommUNITY Committee website. If Lexington sounds like a community in which you’d enjoy living; please let me know! I can give you great insight into the community, lifestyle and homes that are on the Lexington Real Estate market! I know buying a home is a large decision and I would be happy to help you throughout the entire process. I look forward to hearing from you!